The more I look into the world of independent game development, the more I just want to be lost in it like the Great Sea. Once you start looking up cool indie games, you just can’t quit with one. It’s incredible how many fantastic games are out there (for free!) that so many people have no idea exist. It just takes a little bit of searching, and once you get one you can’t just stop there. These developers make games that just aren’t seen enough. They range anywhere from large scale projects, to small 5 or 10 minute short experiences, or even tiny diversions that only take a couple minutes to finish. Not all of these games are masterpieces, but they’re worth the minimal amount of effort it takes to seek them out. In the new Indie Freebies segment, I’ll show off the best indie games you can get for the low, low price of free. One that I really want to get more people to try today is Mike Inel’s “Which”. 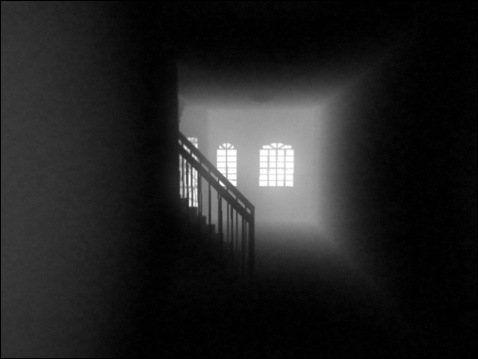 It’s a very short horror-ish game where you have to use observation to move through a terrifically absorbing world. That’s honestly about it, but it creates an atmosphere that most games never come close to. You start in a strange house, and the only thing you hear is the sound of your own footsteps, or the occasional cabinet door opening or other object being inspected after you start your search. It’s totally unnerving, and not knowing anything about it going in is key. It would be a crime to describe anything past what I’ve said here, you just need to experience what happens for yourself. It takes about 10 or 15 minutes to complete, but you’ll spend a lot longer than that thinking about what you’ve seen long after it’s over. It ends up delving into some pretty wonderful metaphors about human motivation…Neat! So go try it out right here. If you are new to the world of indie games (like me) stick around, I’m sure I’ll play quite a few more interesting ones in the near future! Spreading the word about these gems is the only way to get them in the spotlight. Tags: Free, Indie Games, Mike Inel, PC, Which. Bookmark the permalink. Previous post ← Guest Post! What’s everyone playing?